No need for corn recipes? No problem: There are dozens of other recipe suggestions from the past three years of the CSA Share Ninja Rescue for whatever other produce might be stumping your culinary creativity right now. And remember: The Ninj take requests, so be sure to leave a produce suggestion in the comments below. I love to go beyond the cob when it comes to corn. 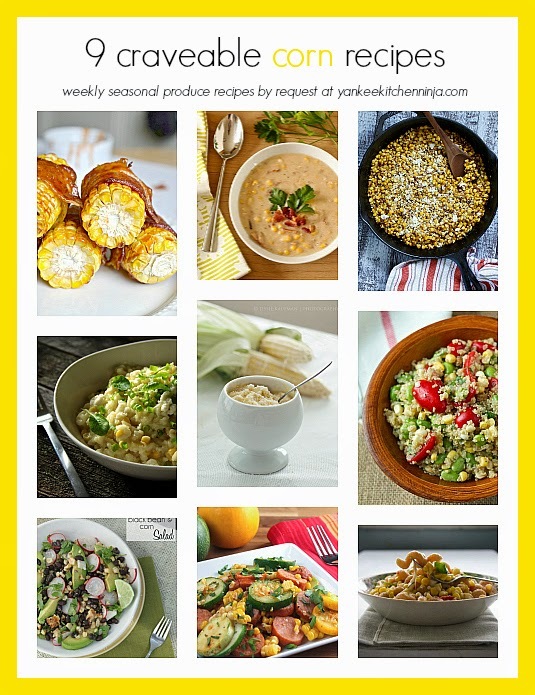 Thank you for all of these inspired ideas and for including my pasta recipe. Pinned! Thanks to you for always having such amazing veg recipes for me to pick from! Thanks for pinning. Thanks for sharing my corn recipe :) And oh my gosh, that sriracha-glazed bacon-wrapped corn on the cob sounds freaking incredible. Heading over to take a look at that bad boy right now! Yours is pretty great, Chris!